Kryptonian Warrior: Disney To Make Live-Action Chip 'N Dale Rescue Rangers Movie? Disney To Make Live-Action Chip 'N Dale Rescue Rangers Movie? 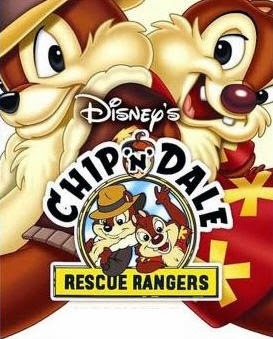 As a kid Chip 'N Dale Rescue Rangers was one of my favourite Disney cartoons along with others such as The Gummi Bears, Talespin, and DuckTales. Now news has been released via hollywoodreporter.com that Disney have picked up a pitch from Robert Rugan, an award-winning commercials director, who has written an updated take on a new live-action/CG hybrid not unlike the Alvin and the Chipmunks movies. Although Chip and Dale were famous all the way back in 1943 they became even more famous in the late 80's/early 90's when they starred in the Rescue Rangers cartoon series along with loveable characters such as Gadget, Monterey Jack, and Zipper. It'll be awesome if the original voice cast (which is epic by the way) of Corey Burton, Tress MacNeille, Peter Cullen, and Jim Cummings can return to voice each character but I do hope we get a better adventure movie rather than the more annoying Alvin films. Do it right and it could be great!